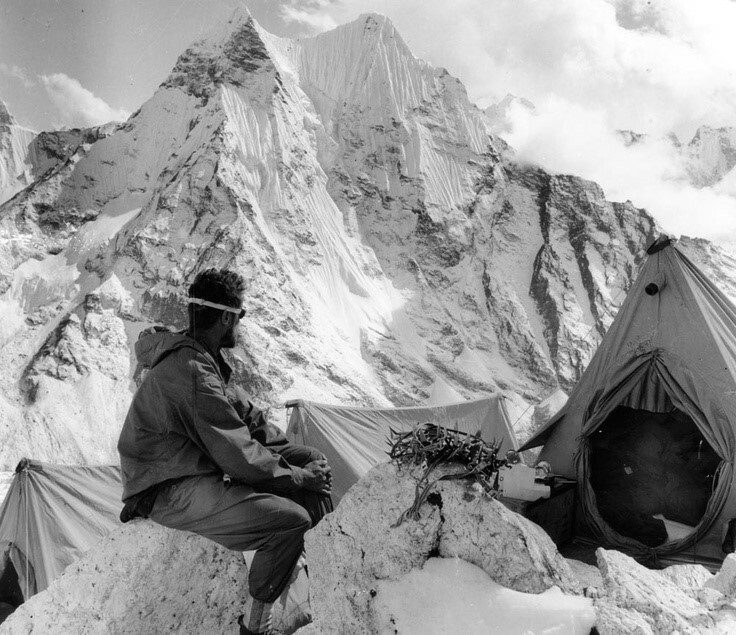 So just how and why would you climb a 20.305ft snow and ice covered peak in the Himalayas?! It was a typical wet and windy Lake District day when I was sat in my office thinking about how I was going to try and educate people about Autism. I’m lucky enough to be the father of two amazing daughters, the youngest of which has high functioning Autism. For those of you that don't know, Autism is a lifelong developmental disability that affects how a person communicates with and relates to other people. It also affects how they make sense of the world around them. People with the condition can also have difficulties with understanding speech and the rules of social interaction. They can also sometimes struggle to understand and deal with their own emotions. The National Autistic Society help provide information, support and services for families affected by autism. They campaign tirelessly for a better world for autistic people. As an Autism parent, I'm often presented with a lot of opportunities to be amazed and often humbled by my daughter's determination and unique angle on life. She faces a constant battle just to get through each day, every time she overcomes one of those challenges, it’s a time for me to be filled with admiration & joy. It seemed to me that If she could face those daily challenges then I should face a challenge as well. I wanted to support the charity that was close to my heart and at the same time achieve something truly unique to help educate people about Autism. I felt I needed to shout my message of Autism acceptance from the top of the world or at least as close to the top as I could get. It was then that I hit upon the idea. I would go to Nepal and climb in the Himalayas on behalf of my two daughters and The National Autistic Society. What experience do I have in the outdoors? I'm already very comfortable in the outdoors, I grew up in the lake district one of the most beautiful national parks anywhere in the world. Over the years I've been a hill walker, scrambler, caver and over the last ten years a scuba diver. A sport which I hope will hold me in good stead for the mountaineering challenge to come. Scuba Diving and Mountaineering share fundamental similarities, they are both dependent on logical and pre-planned thinking to achieve a goal. If you don't make the right decision calmly and efficiently, there will often be no second chance and you can very quickly find yourself in a very serious life-threatening situation. Both sports are dependent on the individual’s reaction to atmospheric pressure, just at two opposite ends of the scale. It seemed to me that the attributes required for succeeding in both sports were well balanced. In both sports you need to be precise & level-headed should the situation suddenly deteriorate. They both involve managing environmental risk through trained use of skills, and equipment. They are both fundamentally easy activities, but they require lots of training to avoid killing oneself. They both have an exploratory element. Scuba diving and mountaineering are all about accessing terrain that most people will never see or experience. I have always wanted to climb and now presented with this perfect opportunity, it seemed like as good a time as any to start. How did it all start and who else inspired me to take on this amazing opportunity? The first thing I decided to do was contact my friend Shankar in Kathmandu, he runs his own trekking agency and I knew he would be more than up for an adventure. I explained my idea and after much discussion, it was he who suggested we climb Imja Tse. Imja Tse is better known as Island Peak, it’s a 20,305ft snow-covered mountain in Sagarmatha National Park of the Himalayas in eastern Nepal. The peak was first named Island Peak in 1951 by Eric Shipton's party since it appears as a towering island in a sea of ice.Imja Tse was first summited in 1953 as part of a training exercise by the 9th British Everest attempt, an expedition that would later go on to conquer Mount Everest. That famous expedition included Charles Evans, Alf Gregory, Edmund Hillary, Charles Wylie and Tenzing Norgay, accompanied by seven Sherpas.Charles Whylie on the first ascent of Island Peak. It was Tenzing Norgay and Edmund Hillary that would later go on that year to make the first successful summit attempt of Mount Everest. While Mount Everest is a mere six miles away to the north, our view from the summit would be blocked by the massive wall of Lhotse, ranked 4th highest in the world. Lhotse will tower an additional 2,300 m (7,500 ft) above our summit. How are we organising the trek and what route did we decide on? Shankar explained to me this wasn't for the faint-hearted, it was going to be a technical climb and it was most likely going to hurt. Apart from scrambling, I don't have much mountaineering experience. I knew to achieve a successful summit this was going to be harder than anything else I had ever done before, but ultimately one of the greatest achievements of my life. We would, after all, be following in the footsteps of legends. So, after many emails and much deliberation It was finally agreed, we would climb Island Peak, the 1953 training peak for the first successful Mount Everest summit. I started to research our summit route. Island Peak, is listed as an alpine pd+ grade climb. We would need to climb in the alpine style, setting off from the base or high camp with a backpack, summiting with a set of fixed ropes and back to camp all in one day.I was beginning to have the realisation this is not an adventure you can do without the correct support. Shankar told me he had two friends who were also climbing island peak at the beginning of April and suggested we should join forces. We needed to become a well prepared & organised team, at the bare minimum we needed one porter for every two climbers and one climbing sherpa to every two people climbing. Suddenly two had become eight and we had a mammoth task ahead of us.I spent the next few weeks going over countless maps and YouTube videos of the route and what obstacles lay in our path. It was going to take two weeks of trekking and acclimatisation just to get to the Imia glacier. We would need to pass Everest base camp and venture further into the east of the region. Once we arrive at Island Peak, we have the option of starting the summit attempt from base camp at (16,690ft) and starting the climb between 2 and 3 am. Our other option is to ascend to High Camp at around (18,400ft) to reduce the amount of effort and time needed for summit day. However, adequate water supply and concerns about sleeping at a higher altitude may dictate starting from base camp. Basecamp to high camp is basically a long hike, but just above high camp, there are some rocky steps which require moderate scrambling through a broad open gully. At the top of the couloir, we must traverse the stunning ImiaGlacier. There are a number of substantial crevasses along the glacier which will need to be crossed by fixed ladders. These are a genuine cause for concern and have sometimes caused previous teams to turn back.We must then proceed to the top of the glacier to the headwall, a 60-degree ice and snow-covered slope. From here, fixed ropes will be set for the strenuous ascent of 100m (330 ft) to the beginning of the summit ridgeline. The climb to the summit is difficult due to the steep gradient and 250m traverse along a 1m wide ridgeline to the peak which has a 6ft x 4ft summit area. Who is supporting my expedition? I was under no doubt to achieve the summit and raise awareness I was going to need help. I needed corporate sponsorship for equipment and I needed some serious winter skills training in order to safely complete the challenge I had set myself. I contacted many of the leading industry organisations asking for sponsorship support with this project, most didn't reply and those that did gave me a whole plethora of reasons why they didn't feel it was suitable for their business. After probably my 50th rejection email I decided to try a different approach. I wrote a letter to the world’s greatest living explorer Sir Ranulph Fiennes and explained to him my expedition idea. I took a chance and asked him if he would be the patron of my expedition and he graciously agreed. Re-energised by this amazing development I set about designing a new and detailed expedition proposal to send out to the equipment manufactures.I decided I wanted this expedition to benefit the people of Nepal as well as support Autism awareness. From the research I had done on our route to Island peak, I knew we would be passing Pengbouche Primary School which had been set up by Edmund Hillary during the 1953 Everest expedition. Shankar had told me that schools in the mountain areas desperately needed pencils. I knew we could help, so I approached Derwent a local lake district manufacturer with a separate proposal asking them to donate pencils to the expedition. I'm pleased to say they agreed to support the school and have kindly donated hundreds of high-quality pencils. I then approached a number of UK businesses asking if they could donate the much-needed winter skills course. Most did not reply and some of those that did were a little unhelpful. One reply even said, “This event will not attract any attention” and that I would get more exposure getting an autistic person to climb the mountain. The person replying clearly had no previous experience with autism. People with autism often live in the moment, they can sometimes be impulsive and often have no sense of danger, although not impossible, it would take more people and more resources than I had available to ensure an autistic climber’s safety. I’m more than used to people judging and being ill-informed about the disorder. It just makes me even more inspired to change people’s opinions about autism. Feeling disheartened, but not defeated I decided to try one last time. After a long search, I came across the website of “Unexplored Scotland”. I very much liked what I saw, so I sent in my proposal.They immediately wrote back to me and said they would be delighted to help support such a worthy cause with a donation of winter skills training. A few days later I received the fantastic news that Vango, Goal Zero and Lifesystems had also kindly offered their support to the expedition. I had been humbled yet again, these businesses and kind individuals had just restored my faith in humanity, and I began thinking for the first time we just might be able to pull this off. So now I train every day, walking my dogs in the hills and taking photos along the way. All the time looking forward to my winter skills training in the Cairngorms and ultimately my big adventure in the Himalayas.